In this game you go back in time to the mysterious lab of the outstanding scientist Nikola Tesla. 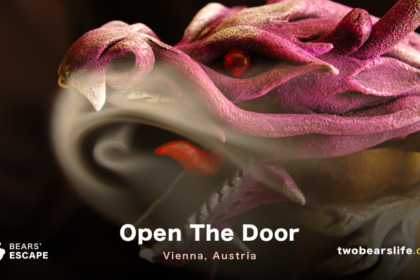 Many of his mysteries still remain open and you will be taken in a dangerous journey to reveal them. The place will take in New York 1932, in the laboratory of a scientist. You will find a variety of mysterious tools and mechanisms created by the brilliant physicist. Your time is limited to 60 minutes in order to open all the secrets of Nikola Tesla and save humanity from disaster. 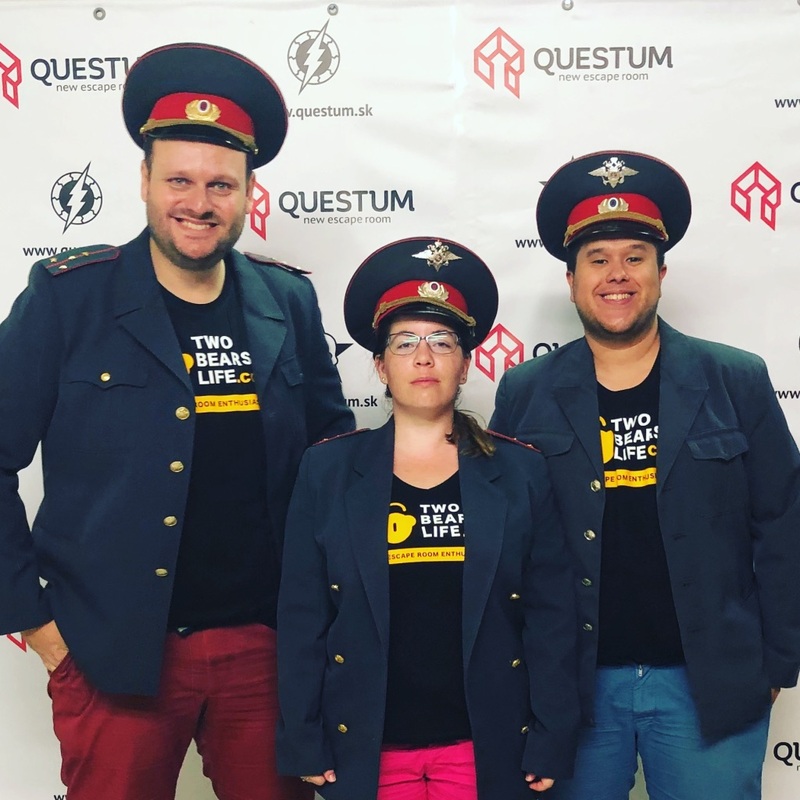 We escaped in time – do we look happy? The mysterious disappearance of children from Czechoslovakia, who came to study in Soviet Union stirred up the whole Leningrad in 1987. Dive in the atmosphere of the Soviet Union in mid 80ies. 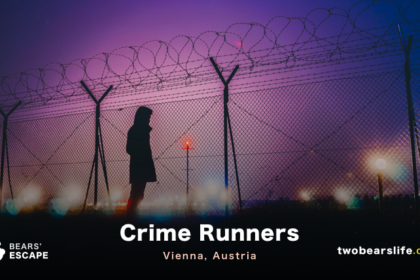 Take a role of a police officer and investigate this mysterious disappearance. But beware, the usual Soviet apartment can conceal a terrible secret. We were supposed to look serious – only one of us heard that instruction. 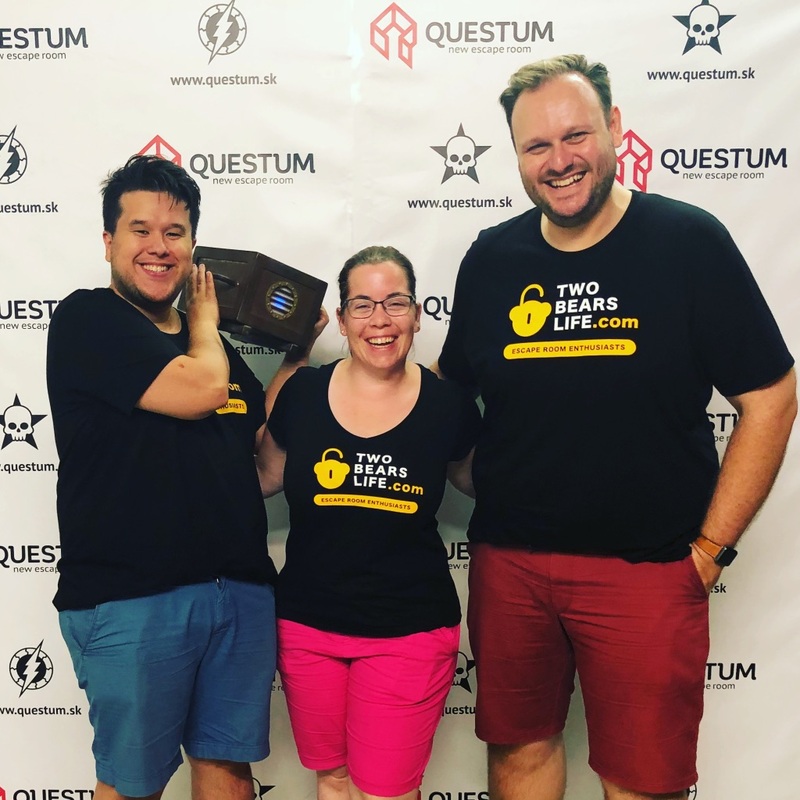 Questum in Bratislava was the first Escape Room we visited on our Escape Room Weekend. Why? 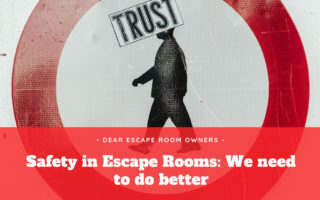 Because it hosts the Secrets of Nikola Tesla – the only room we have heard anything about in the Escape Room Enthusiast community. Next to the Tesla room, we also booked the Mayan Curse. When we arrived on location, the owner welcomed us very friendly, but asked us right away if we wouldn’t prefer to play the “Ghost Stories of Socialism“, as it was his newest game instead of the Mayan Curse. Naturally, we switched and started of with the Ghost Stories room, which the owner promised wasn’t “really scary”. As you all know by now – Alex doesn’t really care for scary rooms. While we wouldn’t agree that the room is not spooky, it was ok for Alex to play, although it was on the edge for him. Ghost Stories of Socialism is not your traditional Escape Room game, but more of an immersive experience coupled with some light puzzles. The immersion and story were definitely the focus of the room, which tasked us with finding out what happened to some vanished children in a dark and creepy apartment. The story was spooky, the effects worked nicely and thankfully it was never too scary. While we did enjoy the general atmosphere and storytelling, we did feel a bit lost sometimes. Most of the puzzles in the game are search-based, which is not our strong suit. 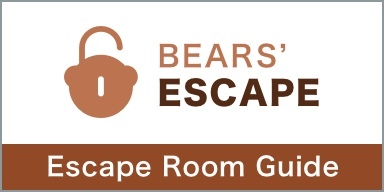 If you do enjoy puzzles more than immersion, this might not be the room for you. 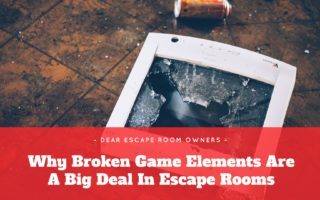 If you are okay with less puzzles and more atmosphere, you will enjoy the room though. We escaped after 38 minutes. Once we successfully fled from the dark forces, we took a short break and got ready to explore the Secrets of Nikola Tesla. The change in scenery was refreshing and we were impressed by the room design and general look of the room(s). This game was more puzzle heavy and had some great and surprisingly fun tasks and puzzles in store for us. The great thing about Secrets of Nikola Tesla is that it manages to build excitement with each room-transition, finishing with a really fitting ending. We escaped the game after 45 minutes. All in all, we did enjoy the Secrets of Nikola Tesla more because there was just more “do to” and we appreciated the puzzles – it was quite fun. Ghost Stories of Socialism is more of an immersive story experience with some puzzles on the side, which is also fun, but we felt a bit lost sometimes. 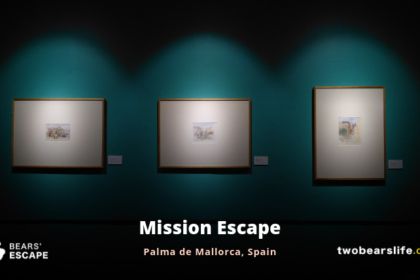 Overall, we played two very different rooms with very different concepts that were fun and a great start for our trip. 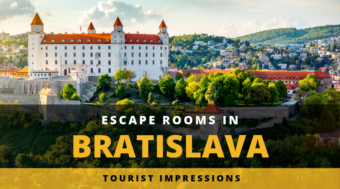 Questum is definitely one of our Top Picks from Bratislava and absolutely worth a visit. Questum in Bratislava offers four rooms, we played two of them. Both games had very different concepts, while one focused more on an immersive experience, the other one was more puzzle-heavy. Both rooms looked great and the staff was also very nice. 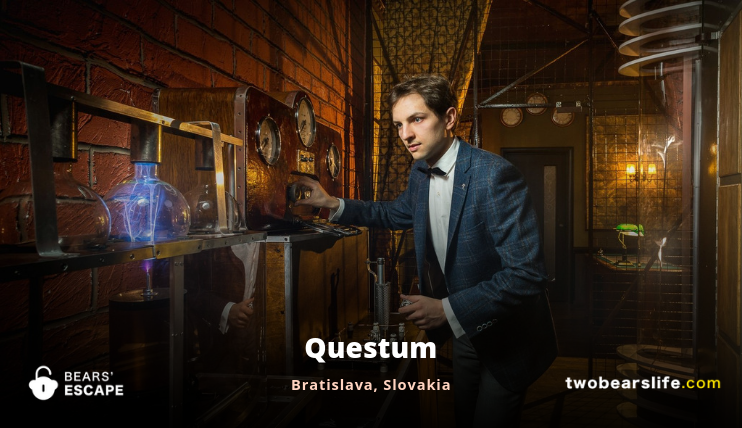 Qestum is one of our Top Picks in Bratislava.